Jordon was featured on Gary Takacs’ podcast show. They discuss all the benefits of creating an in-house membership program and encourage practices to utilize a membership program to help reduce dependence on dental insurance. 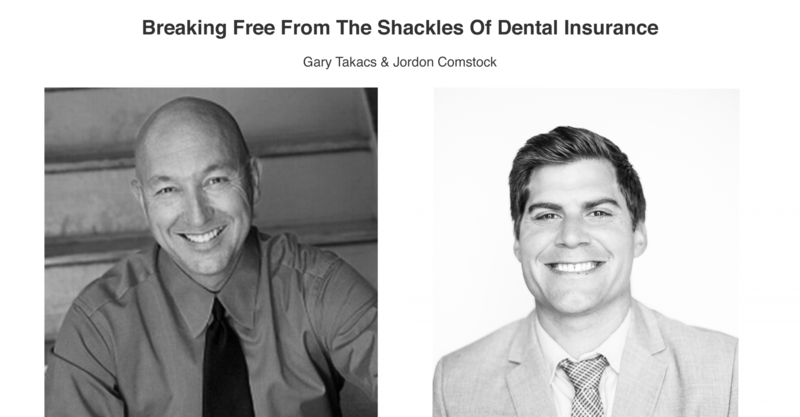 For this Thriving Dentist Show, Gary invited his friend Jordon Comstock as a guest to discuss how an in-office membership plan can help you develop a thriving practice. In this Show, Gary and Jordon discuss; the definition of an on-office membership plan, how an in-office membership plan is like Amazon Prime for your dental practice, the magic of recurring revenue in your practice, regulations and legal details related to your in-office membership plan, why you should use a ‘Medical Retainer Agreement’, how to name your in-office membership plan, the Direct Primary Care Law and why you need to know about it, how to automate the payment process, how to successfully market your in-office membership plan in your community and throughout the interview Jordon shares how to use your in-office membership plan to roll the red carpet out to welcome patients who do not have dental insurance.